According to NOAA, this year’s El Niño is forecast to become one of the strongest on record. It is expected to influence weather and climate patterns this winter by impacting the Pacific jet stream. Predications are calling for an even wetter and colder winter as compared to the last strong El Niño winter of ‘97-’98*. You don’t have to dread the upcoming rainy-season and the maintenance headaches it brings. We’ll take care of necessary tasks that include cleaning out rain gutters and storm-drain inlets. We can also repair and reseal wooden decks to keep rain from causing further damage. 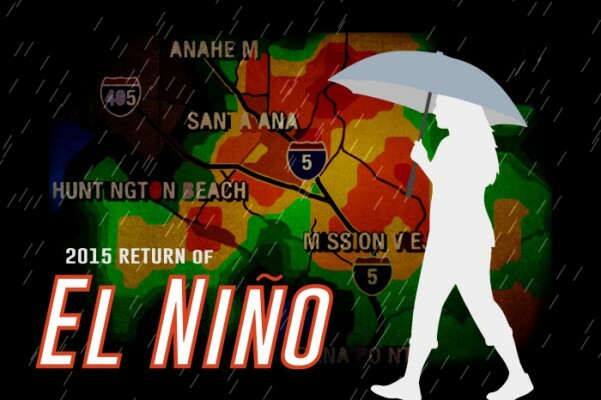 Contact Carasso Construction today to prepare your community for the inevitable upcoming El Niño rainy season. * National Oceanic & Atmospheric Administration 10/15.